Electronic cup removers (ECRs) are an important technology in any modern dairy milking operation. For one thing they simplify the operator’s workload. As such, generally a single person is sufficient to manage the entire milking process. Second, ECR technology eases milking for the cow because it automatically manages vacuum application, which includes end of milking detection. As a result, milking is gentler on the teat and this helps to reduce tissue damage. Damage that otherwise might increase the chances of mastitis and elevate somatic cell counts. 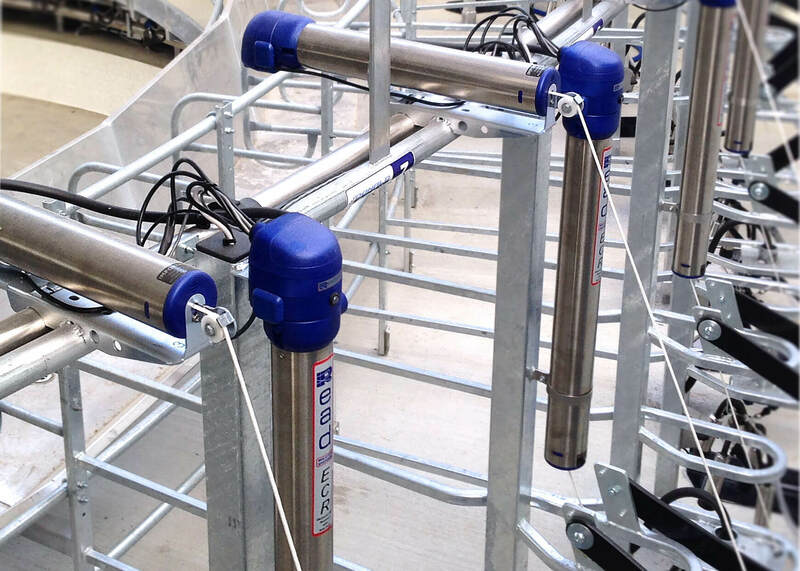 Several innovations make our ECRs useful for the milking operator. First, the simple act of lifting the cups is sufficient to trigger the beginning of milking. This occurs by way of a convenient auto start feature. In effect, the auto start triggers cluster release as well as cup end vacuum, and bail arm lowering. In fact, lifting the cups actually triggers a series of events that obey a number a preset parameters. Moreover, these parameters are easily accessible via a simple touch screen device connected to each ECR. 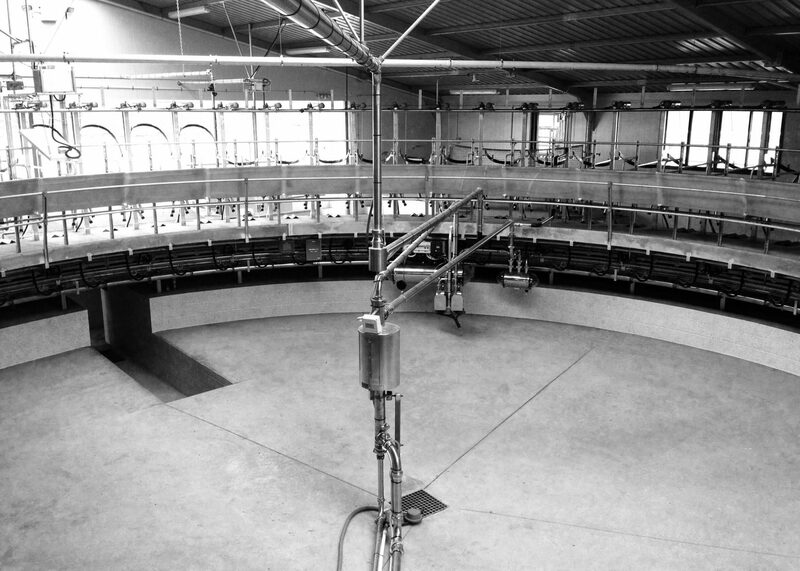 Other features milk operators find useful include the automated cluster air sweep and a kick off alert. Likewise, users will find the automatic cluster retraction useful because it occurs with minimal udder stress. And it helps to prevent contamination in the milk line. Programming all ECR units is simple for two reasons. First, the operator does this via an intuitive touch screen computer. And by intuitive, we mean intuitive to a dairy farmer and not a technician. Second, because all ECRs connect via a controller area network, they are all updated at the same time. That is to say, programming is both quick and easy. Scalable up to 100 bails. More if multiple controllers are installed. In fact the largest rotary system we’ve installed our ECRs on so far is a 100 bail dairy in Canterbury. At the other end of the scale, the smallest conventional rotary setup we’ve ever done is a 36 bail system. Although, technically, the smallest Read milking system ever with ECR technology was a 12 bail custom setup for a client based in South America.